On May 7, 2014 the staff of educational divisions stood on a front parade-ground of Military institute waiting for the chief of the Military institute. 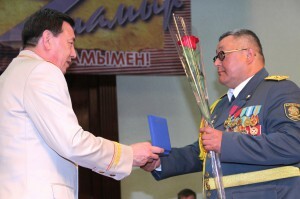 The chief of the institute only arrived from Astana where he was awarded by the state award «Aybyn» of ІІ-degree according to the Decree of the President of the Republic of Kazakhstan No. 813 of April 30, 2014 for model execution of a military and office duty, the courage and dedication shown at law enforcement and order. 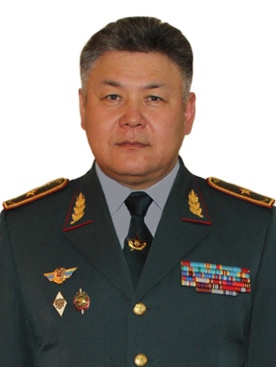 By the initiative of the deputy chief of Military institute on ESLW, the colonel Berik Omarov, carried out the celebration of the chief of the military institute. By the way, Berik Ilesbekovich himself is the gentleman of the award «Aybyn», and he received it among the first gentlemen – in 1996. 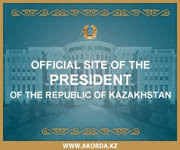 On celebration of the colonel Akhmetov arrived the first heads of power structures of the city and area, and also close friends, and, of course Zhumabek Hatiollayevich’s family – the spouse Zamira Shamshidinovna, daughters Elvira and Medina, and also the grandson Anvar.